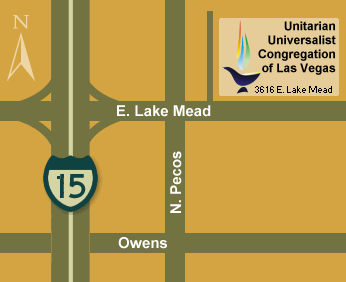 Take Interstate -15 north to Lake Mead Blvd - Exit east on Lake Mead Blvd and proceed for about 2 miles to UUCLV. or call the office for help (702) 437-2404. Although we have limited office hours, someone checks the answering machine and email every two days.